" T " form leg can be done by simply adjust on the screw. Our board has various thickness, density and bounce are closely linked to each other. choosing of different thickness of frame is closely related to the thickness of table-top board. The repeat roller-coating (RRC) top enriches the quality of play, gives ball bounce more uniform. of table in against unexpected excessive opposing force being applied. wheel and breakable wheel available to choose. Our table-top lining and frame side logo printing are made by screen print technique. This technique gives the printed object to be equalized on the surface of the object. it is good against scratch, not easy being peeled or color faded. A selection of net post can go with the table. Please see our list for the post net. We have selected an innovative and genuine AP board material to manufacture our outdoor table. and provide a similar feeling to traditional table material. throughout the table. 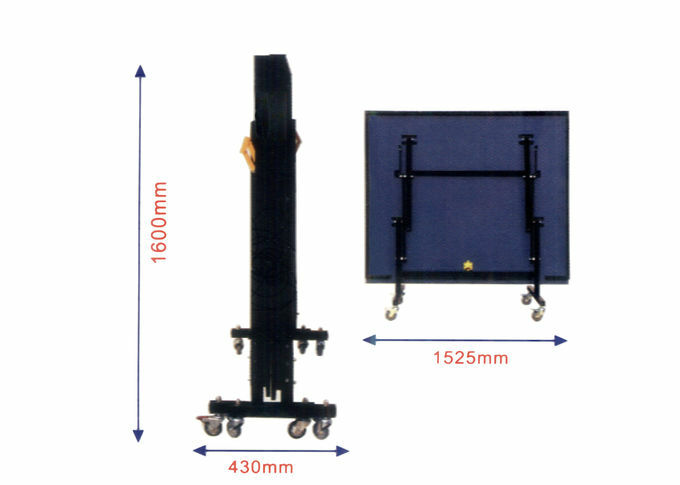 This kind of table is suitable for competition or home use. 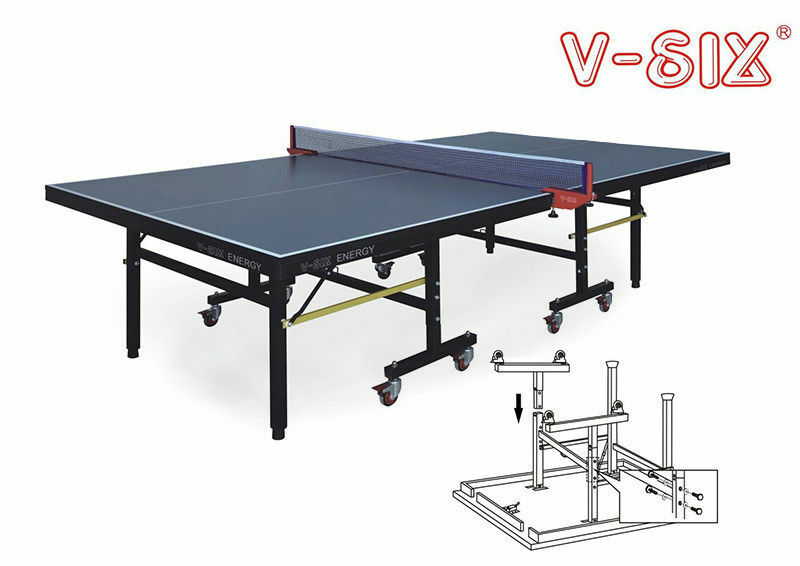 China Good Quality Foldable Table Tennis Table Supplier. Copyright © 2016 - 2019 foldabletabletennistable.com. All Rights Reserved.